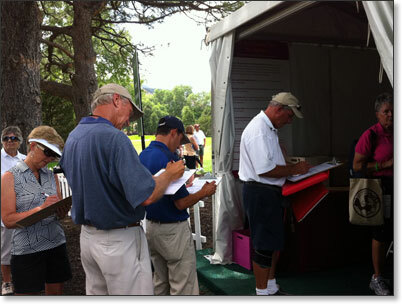 Photos from the July 6 & 8-10 event. 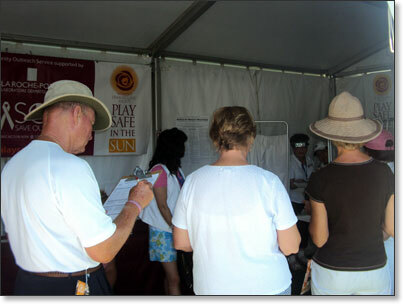 Sun Safety - Your Skin Will Thank You! 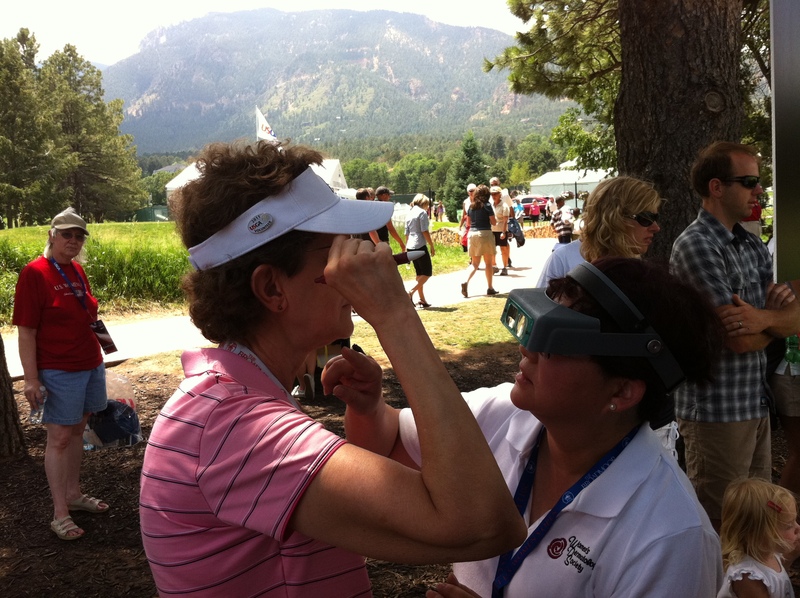 The dynamic duo of Kathy Sawada, MD (left) and Adrienne Stewart, MD teamed up again as Play Safe in the Sun co-chairs for a record-breaking outreach at the US Women’s Open in Colorado Springs. 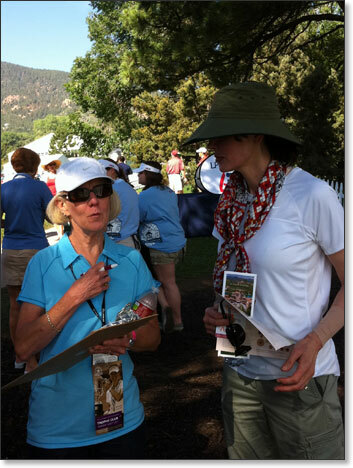 Dr. Adrienne Stewart, shown talking to a woman who was about to undergo a screening, reached out to crowds throughout the four-day event to educate about sun safety and skin cancer prevention. 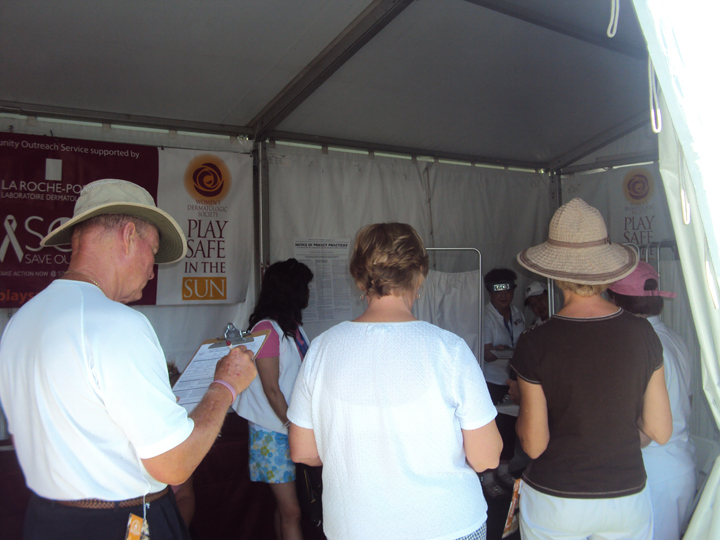 Constant crowds flocked to the WDS Play Safe in the Sun booth, where WDS dermatologists performed a record total of 428 skin cancer screenings. 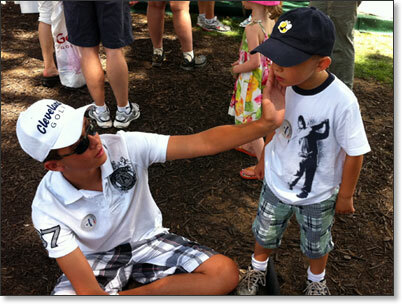 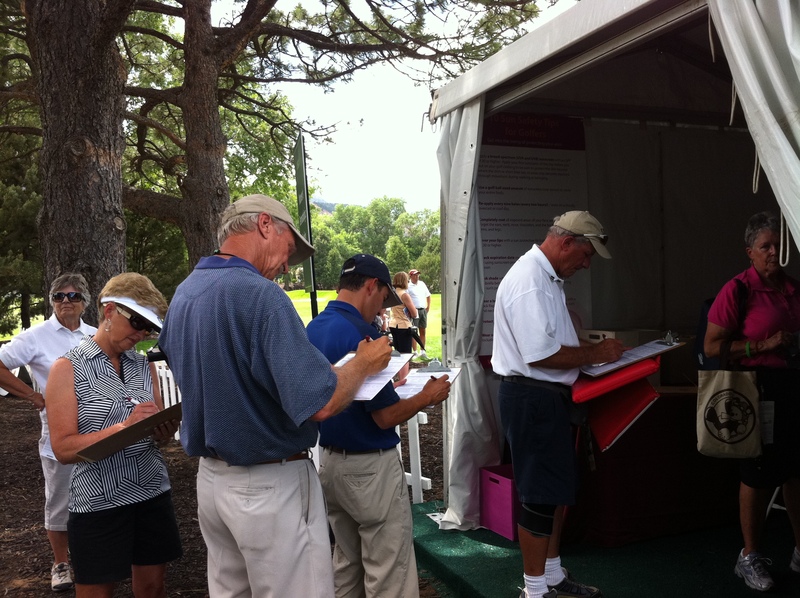 Golf enthusiasts of all ages were very grateful for the free skin checks. 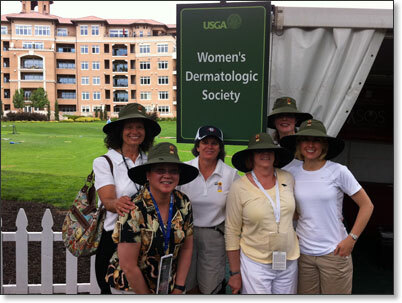 Volunteering dermatologists referred 32% of the people who were screened to dermatologists for further diagnosis/biopsy of suspicious sites on the skin. 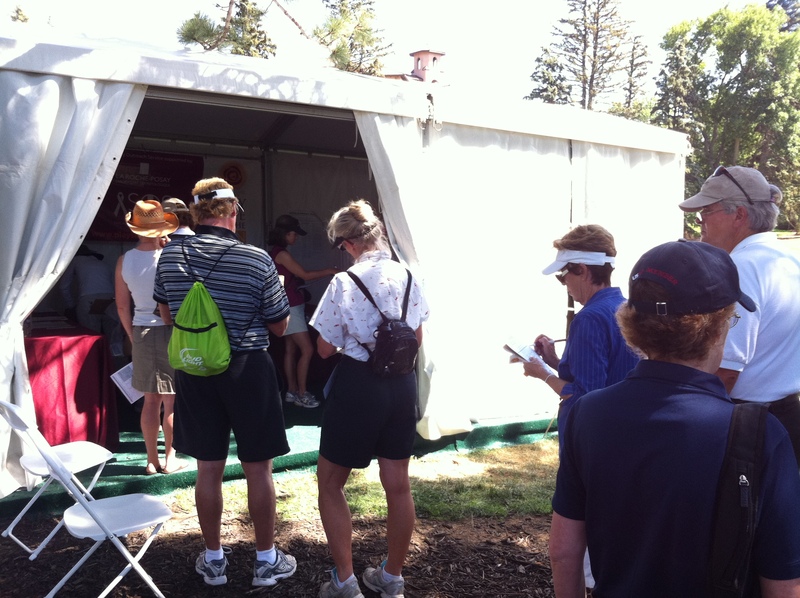 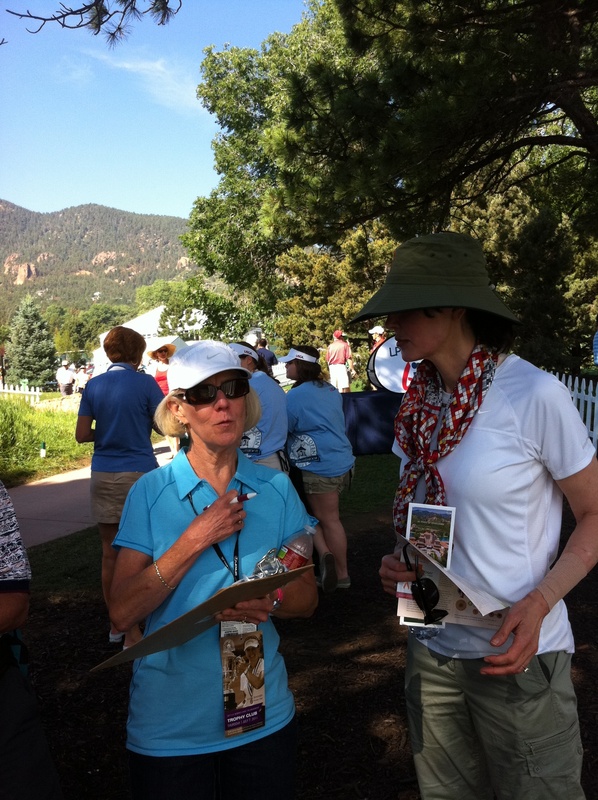 An incredible, enthusiastic volunteer team reached out to crowds topping 150,000 golf lovers at the US Women’s Open. 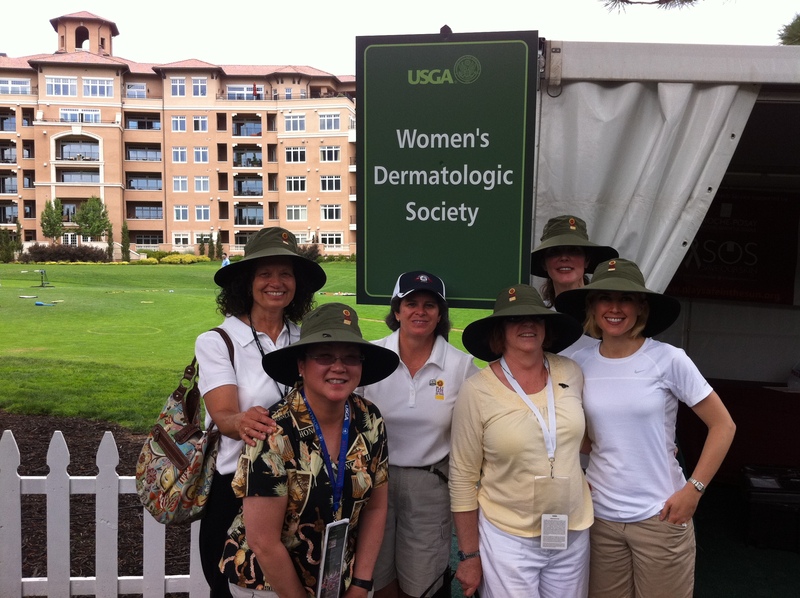 Pictured from left are: Maureen Krumm, Kathy Sawada, MD, Karen Holliway, Carol Sloane, Adrienne Stewart, MD and Emily Stevens. 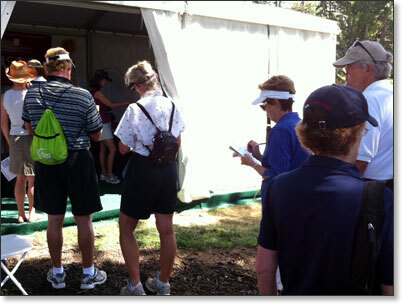 Everyone got into the act of applying sunscreen under intensely sunny skies in Colorado Springs, where huge crowds of championship spectators were most appreciative of the free sunscreen provided by the WDS volunteers. 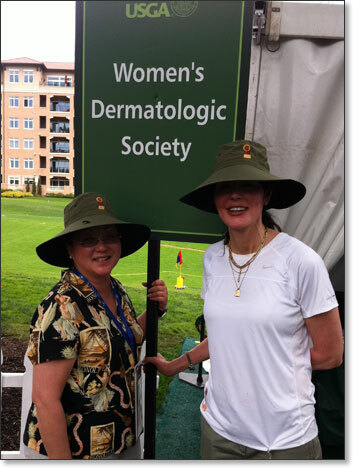 Several skin cancers, including melanomas, were presumptively diagnosed during the record-setting free skin cancer screenings offered by the WDS volunteering dermatologists. 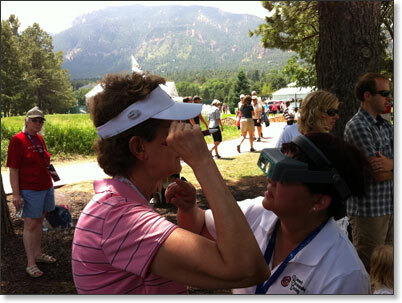 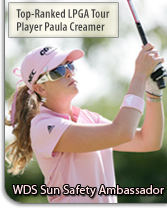 Dr. Kathy Sawada is pictured with a golfer who had a spot that concerned her. 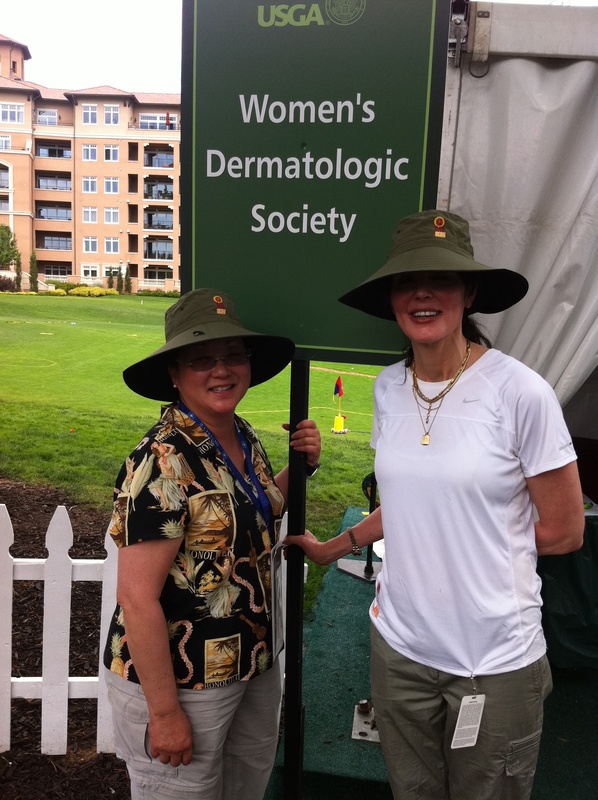 Many professional and recreational golfers stopped by the WDS tent to talk to dermatologists about their sun damage and spots they noticed on their skin.